Getting all individual insurers into all exchanges could cut the premiums, economists say. 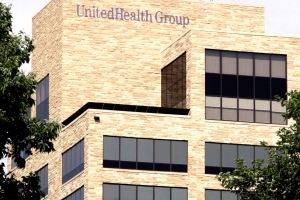 When UnitedHealth Group Inc. stayed away from a state’s public health insurance exchange, the coverage sold through that exchange was more expensive. Leemore Dafny, a management professor at Northwestern University, and two colleagues reported that observation in a paper published behind a paywall on the website of the National Bureau of Economic Research. One of the co-authors, Jonathan Gruber, helped shape the closely watched public exchange in Massachusetts. Economists have argued that some markets associated with health care may operate in a surprising way, with increased competition leading to higher costs. Dafny and her colleagues tried to measure the effects of competition on prices in the Patient Protection and Affordable Care Act exchange market by looking at what happened when UnitedHealth did or did not participate in a state’s exchange. PPACA bases calculations of federal exchange plan subsidies on the cost of each market’s second-lowest-priced silver level plan. When UnitedHealth sat out an exchange, the premium for the second-lowest-priced silver plan was typically about 5.4 percent higher than if the company had been one of the players, the economists estimated. PPACA encouraged nonprofit groups to increase competition in the health insurance market by starting nonprofit, member-owned co-op plans. If all individual health insurers that had been active in each state in 2011 had sold coverage through each exchange this year, the average second-lowest-priced silver plan premium might have been 11 percent lower, the economists wrote. Dafny and her colleagues found that co-op participation on an exchange correlated with an exchange program’s second-lowest-priced silver plan being 8.1 percent cheaper. Analyzing the effect of co-op participation is more difficult than analyzing the effect of UnitedHealth plan participation, because co-op decisions to participate in exchanges seem to be more heavily influenced by managers’ expectations about prices in specific state markets than UnitedHealth participation decisions were, Dafny and colleagues wrote.